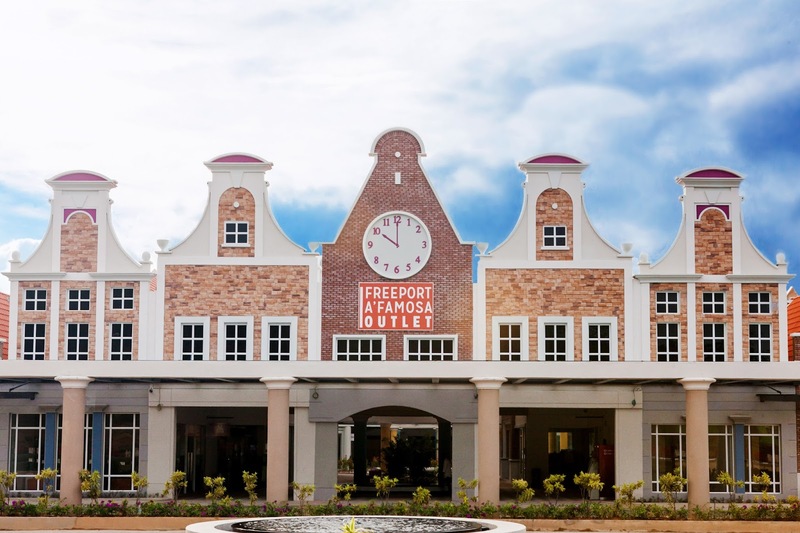 I guessed most of you already know about the opening of Freeport A' Famosa Outlet (FAO) recently. I was one of the first one that got so excited about it. It's so near my house! FAO is a joint venture between Freeport (investor, asset manager and operator of portfolio of European outlet centres) and Langkah Realiti Sdn. Bhd. Anyway, let me get straight to the reason you're reading this - what are the shops available and what are the good deals that I spotted there. Very good deals at Nike. Nike Free for RM179 (original price RM300+). Dri-fit long pants RM99 (original price RM160+). T-shirt RM39 for older styles. The prices are about 20% cheaper than the retail price, plus But 2 Free 1 deal. Shopping tips, purchase clothes with the same price so you will get the free item of higher value. If you have a mixture of other products, sort out the items according to the price range and check out separately. What's worth getting here is the jeans. The prices are marked down about 20%. On top of that you will get additional 40% off from the tag. Triumph have different deals based on their different products. Some come with "buy 3 free 1" bargain and some have fixed price of 2 for RM169. On top of that, the additional storewide special includes 5 for extra 10% off, and so on. As expected, the prices at Clarks are cheaper than retail. The sales assistant mention that they are about 10-30% cheaper than retail. Additional sales include buy 2 for 20% off, buy 3 for 30% off and buy 5 for 50% off. Rip Curl swimwear is approximately RM130+ for a pair, excluding the store 30% sale. Female clothing option is limited. However, if you dig into the accessories part, you might find some gem, like a wallet for RM39. All Carlo Rino deals are different. The store provide up to 70% discount. For the newer season, it is up to 30% discount. Moodboard store carries different brand under their roof. The main brands are Amori, Joy & Peace, Santa Barbara, Jaguar Shoes, Fiorucci & Everbest. These are famous brands in European countries and other parts of Asia. You can get a very good quality shoe at the price of RM100+. Sacoor Brother is a very prestige brand in Portugal & UK. They offer up to 75% on winter clothing. The store items change according to the four seasons. Prices of Puma products are between 10-50% cheaper than retail. And take additional 10-20% off when you check out, depending on how many item you purchase. Surprise! There's a Zang Toi Cafe in Melaka. There's no good deal here, but there are plenty of good cakes here. The photo is pretty much self-explanatory. Not sure until when the deal ends, however their stock run out really fast. Do grab the opportunity if you are a Crocs fan. Luv Lux carries plenty of upscaled designer brands under their wings. Some of the brands include Moschino, Stella McCartney, Dolce & Gabbana, Versace, Tods, Miu Miu, Sergio Rossi and many more. Spotted Moschino bag for only RM700+. ... and many more stores are opening soon. As of now, only 50% of the stores are fully operating. Some stores are still in renovation and some are still empty. In my honest opinion, I really like the FAO because it has variety of brands. And the brands are those brands that I usually buy from such as Forever 21, Cotton On, Nike and Puma. There is a mixture of upscaled branded items and average daily brand that we purchase from. The combo of brands make it a pleasant experience to shop because you have different options. I had the chance to participate in the 'Style on Shoestring' contest during the launch, whereby I was given RM350 to shop for an outfit for a casual occasion. This is my before outlook..
Top: Cotton On (RM44.90). 3 layered necklace + leather pants + quilt studded mini bag: Forever 21 (Total RM198). Loafer shoes: Moodboard Everbest brand (RM149). It is easy to look for what you want at FAO when you shop for a full outfit. Unfortunately, the crowd make the process more complicated. It takes time to queue at the changing room and cashier counter. And some shops limit the walk-in customers, so you have to queue outside until some shoppers come out. Restaurant and food outlet is very limited at the moment. However, you can find good coffee there! Dr. Cafe has the best coffee (among all the main coffee joints). I foresee myself coming here every weekend for morning coffee. In case of crowded carpark, go into A' Famosa Resort and park near the Cowboy Town. There is a small access at the side of the carpark to the main road. You can walk along the main road to reach FAO. It's about 1 minute walk, which is not as bad as getting stuck in the carpark with no space to park your car. Currently, there are some shops still setting up their cashier system. It's best to bring along cash with you. ATM may run out of cash due to the massive crowd. Wear flat shoes! There will be a lot of walking. And also bring some water, just in case. Some stores allow you to keep your haul at the counter before check out. You can scout the entire place first before settle for the best. If you decided to let go of your haul, do have the courtesy to tell the cashier. The FAO is a single storey construction. It is pram and wheelchair friendly. Have you been to FAO? What do you think of it?